The flat top grill is much like a griddle. It is a flat metal surface with a slightly bowed shape. The shape of the grilling surface is important; it uses gravity to help shuttle juice and fats away from the cooking meat. The heating elements of quality flat top grills are designed to be circular. The circular construction allows the grill’s metal to heat faster and hotter than a flat top grill without circular heating elements. In short, a flat top grill is a nearly flat metal cooking surface. Cooking Burgers on a flat top grill. The pros of cooking Burgers on a flat top grill come down to moisture content and texture of the cooked Burgers. The flat top grill is a radiating heat source, so the Burger cooks evenly thanks to a very precise and even cooking plane. The process of cooking on a flat top grill versus charcoal grills is really an argument about control. The flat top grill allows for the outcome of cooked Burgers to be even, whereas the outcome of cooking Burgers on a charcoal grill is uneven. If you want a more consistent, bulk batch of Burgers, go for the flat top grill. If you want the chore of cooking Burgers individually, go for the charcoal grill. The cons of cooking on a flat top grill are few. 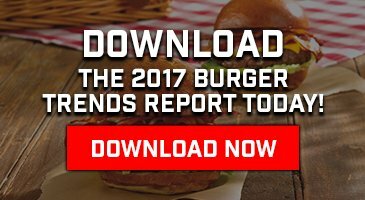 Overall, the cooking process takes less time from start to finish, but the actual cooking of the Burger is marginally longer. The overall shorter time includes the time needed to bring a charcoal grill up to cooking temperatures. The biggest drawback of flat top grills is the absence of that charred and smoky taste that you get with a charcoal grill. Cooking Burgers on a charcoal grill uses a very hot and dry heat to cook the meat quickly. This is why a charcoal grill produces Burgers that have a thicker charred crust compared to the thin charred crust found on Burgers that come from a flat top grill. The process of using charcoal as a source of heat adds flavor to the Burger, but the cooking process is not precise. Cooking Burgers on a charcoal grill. The pros of this method are a faster cooking time and the smoky/charred flavor that charcoal grills add to food. This, of course, does not count the time it takes to bring the grill up to cooking temperature, as mentioned before. Another benefit of cooking Burgers on a charcoal grill, from a home-cook perspective, is the joy of being outside and the fact that outdoor cooking helps keep your house cooler. For chefs who like a lot of control in the kitchen, the cons of cooking Burgers on a charcoal grill include the fact that the cooking process is not even and that cooking great Burgers requires more work and skill. The hot, dry heat produced by charcoal creates an uneven cooking temperature across the cooking surface. The cooking process also can dry out the Burger, as the grill allows juices to drip away from the meat. The process can lead to Burgers that are too cooked on the outside and not cooked enough on the inside. This also means that each Burger must be cooked individually, and even then, there may be inconsistencies between Burgers. There are even a few health studies that show that charcoal-cooked foods contain certain carcinogens. Charcoal or Flat Top Grill? Like we said, much of this comes down to preference. If you like the smoky flavor and the thicker charred layers on your Burger, then the charcoal grill is likely the best choice for you. Cooking a Burger to perfection will require learning how to build the perfect charcoal coal bed and the art of grilling. The rewards are amazing Burgers and the entire social gamut that goes along with outdoor grilling. If you enjoy a consistent and evenly cooked Burger, then the flat top grill is likely your best bet. It too can include the social attributes of outdoor cooking, and it requires less skill to create amazing Burgers. Plus, for those who like to control every element of the cooking process, the flat top grill’s more precise heat can streamline the process of whipping up something amazing. What’s your grilling preference? Tell us in the comments.